We Set Release Date for Defend Your Life! 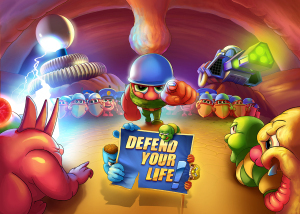 So it is finally here, AppCampus has approved our Release Candidate and that means… Defend Your Life! is going online. For next 90 days only for Windows Phone platform. So if you own WP device mark the date 14 October in your diary! For more info about Defend Your Life! click here. Defend Your Life! On MAAC Event. How Was It?